The founders of JD Sports, one of Britain's most successful retailers, are marching back onto the London stock market with plans to float Footasylum, a chain of premium fashion stores. Sky News has learnt that John Wardle and David Makin are set to reap tens of millions of pounds from an initial public offering (IPO) of Footasylum, which is expected to be valued at about £150m before any new money raised through the listing. 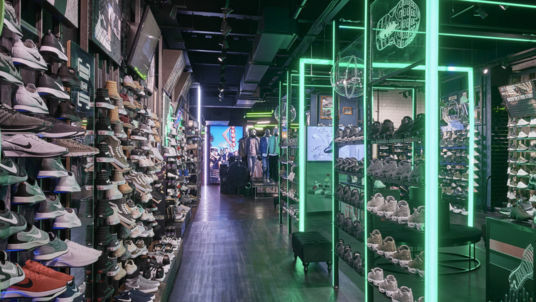 The float is likely to be announced later this month, according to insiders, with investors expected to value the business at a similar profit multiple to that at which JD Sports trades. Mr Wardle, who is Footasylum's executive chairman, will remain on the board if the company goes public. A former chairman of Manchester City, the Premier League club, he is one half of one of British retailing's leading double-acts. He and Mr Makin reaped massive rewards from the growth of JD Sports, which has become one of the UK's biggest publicly traded store groups with a market value of well over £3.5bn. They fought a bitter battle with Mike Ashley, the Sports Direct tycoon who brought his company to the stock market a decade ago, but while rivals such as JJB Sports fell by the wayside, JD continued to grow. Mr Makin launched Footasylum in 2005 with a single shop in Cheshire, and was joined three years later by his former business partner. They plan to retain a significant stake after the IPO. The chain now has 59 stores across the UK, with plans to nearly treble that number to 150. Footasylum is the main fascia used by the business, which also trades under the 7Liverpool and Drome brands, and counts Kings Will Dream among its own labels. Its flotation comes at an intriguing time, with the high street facing challenges posed by an escalating cost base exacerbated by changes to business rates and the Government's Apprenticeship Levy. However, Footasylum's profits have shown strong growth, with earnings before interest, tax, depreciation and amortisation hitting £11.2m in the year to February, up from £6.1m a year earlier. It now employs about 2,200 people and is investing heavily in its digital platforms, setting a target of achieving half of total sales through online channels. 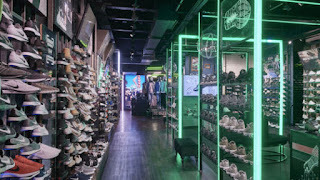 Footasylum has relationships with roughly 300 external brands, such as Adidas, Calvin Klein, Nike and Under Armour, focusing on premium 'on-trend' branded footwear and apparel. GCA Altium is advising Footasylum, with Liberum handling the flotation.